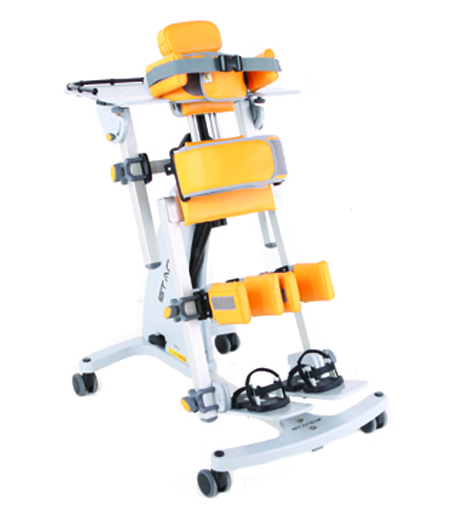 Inspired by the clinical benefits of abducted standing and created alongside therapists and carers all over the world ensures the perfect combination of clinical positioning with simplicity of use. 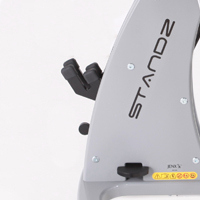 Standz offers Prone or Supine standing and easily accommodates either abducted or neutral leg positioning for children between the ages of 1-9 years. 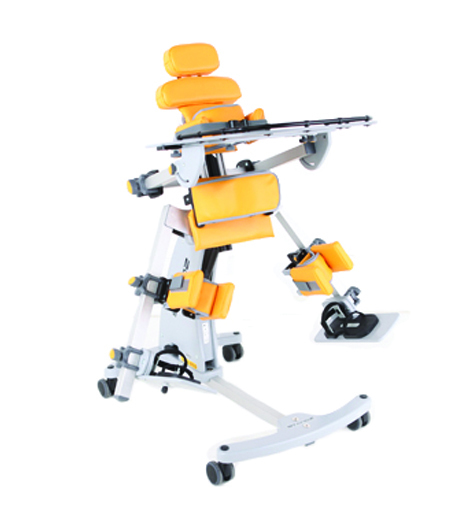 Leg length discrepancy is easily accommodated by the individual control for knee and foot positioning, and all adjustments are tool free to enable quick and effective clinical postural adjustments. 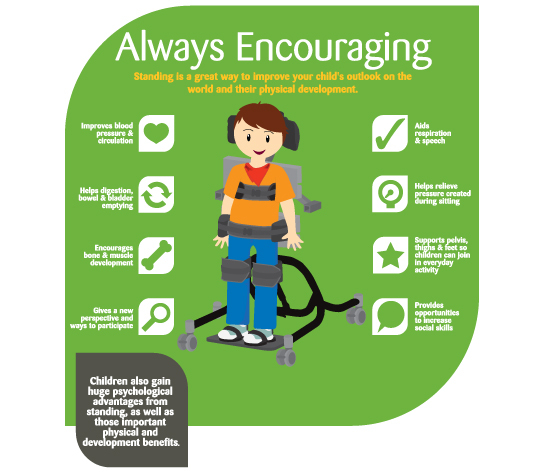 With an extensive range of accessories, Standz can accommodate children with a wide range of postural requirements. 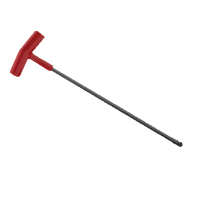 No more hunting for the right sized allen key, cleverly designed wing knobs offer a comfortable grip to enable effective clamping with minimal effort – meaning growth adjustments have never been easier. 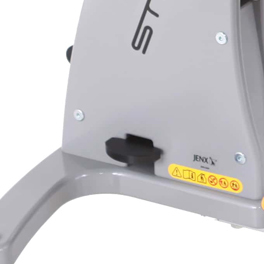 Built in angle gauges for frame angle and individual leg abduction – easy to read gauges enable precise positioning and allow for the correct position to be repeatedly achieved. 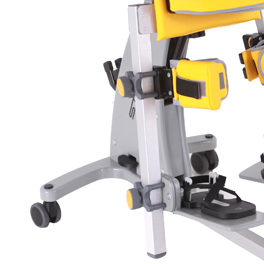 Adjustment for both knee and footplate height – Ideal for accommodating leg length discrepancy. 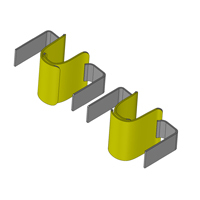 This tool free adjustment can be made in seconds and securely clamps into place using our clever clamping marquee design. 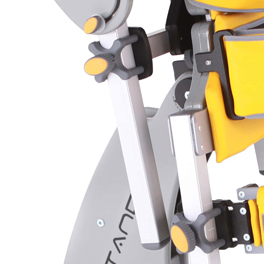 Standz offers the ability to independently adjust either leg from 0 – 30 degrees of abduction depending on the child’s clinical needs. 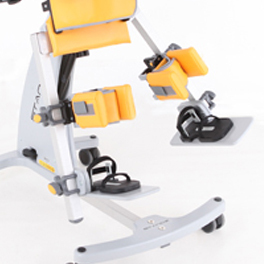 Simply adjusted through a wing knob clamp, this action is quick and simple to adjust for each standing session. As standing aids the digestive system and gravity can take it’s course, our covers have been designed to wipe clean, they also contain an antimicrobial agent to aid infection control. This clever accessory offers convenient storage when the tray is not in use. 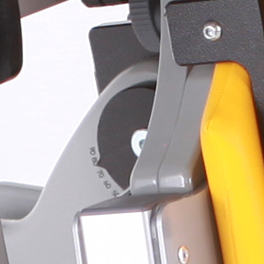 Built in safety lock for frame angle adjustment – Ideal for those busy environments where there is potential for accidental activation of an unlocked mechanism. 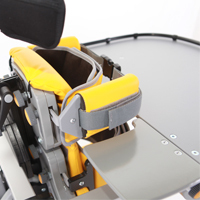 A simple yet effective head support pad for use in supine for children with reasonable head control. 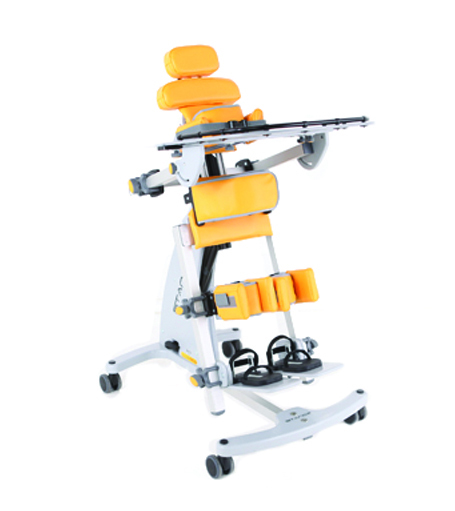 It can also be used in prone to extend the height of the chest pad. 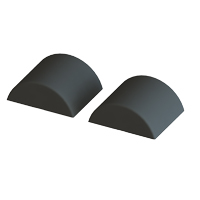 Allows for all wing knob adjustments to be converted to a tool fixing – ideal for environments where other children may tamper with the original wing knobs. 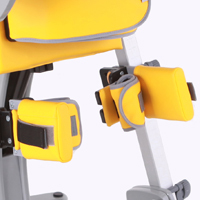 A simple foam pad that is shaped to fit behind the knee to ensure a comfortable standing position when accommodating knee flexion. 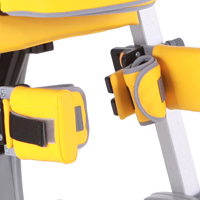 Intended for use in conjunction with the standard knee supports the De-Rotation straps allow for a cuffing of the child’s leg and allow for control of internal or external knee rotation. 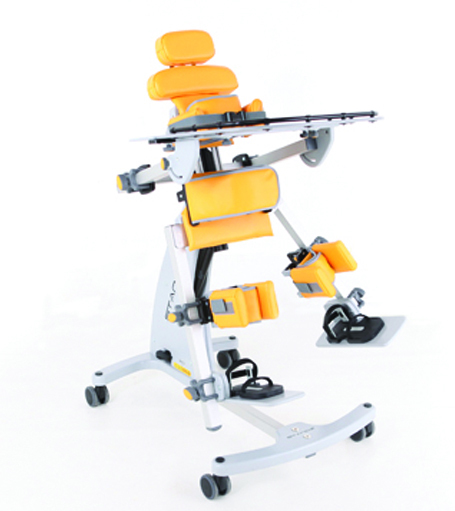 A simple yet effective wide pad for supporting the shoulders when using Standz in a supine position. 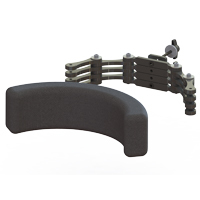 Firm lateral support pads offer stability to the trunk, pelvis or both together, and the incorporated support strap can be used to facilitate extension or rotation. 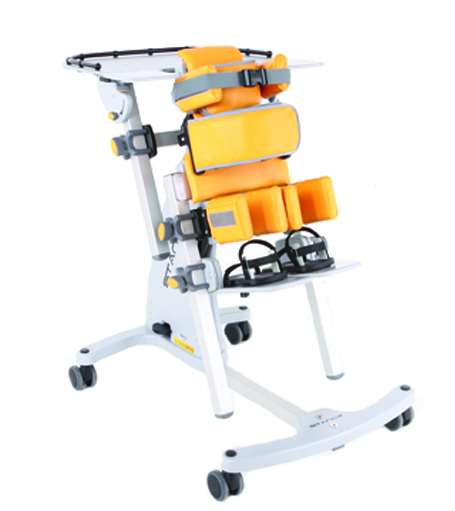 Cleverly designed to be used in both prone and supine, the tray is angle adjustable to ensure the correct position in either application. 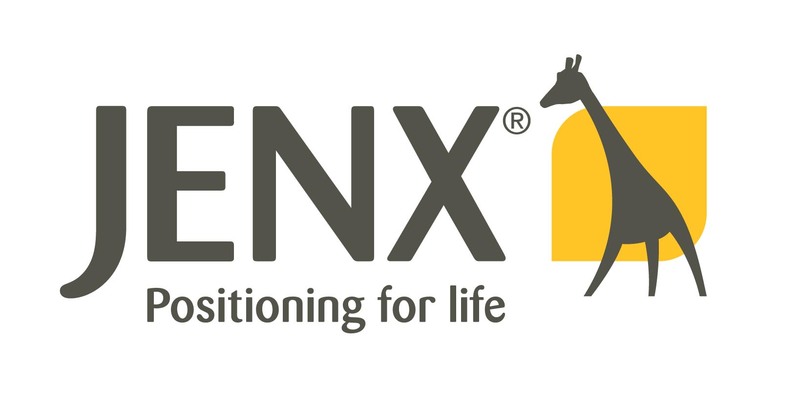 The original and innovative Jenx Multigrip™ is available in three sizes. 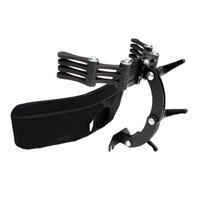 All Jenx Multigrip™ head supports have a choice of highly flexible fixing brackets, all of which give adjustment for height, depth and angle. 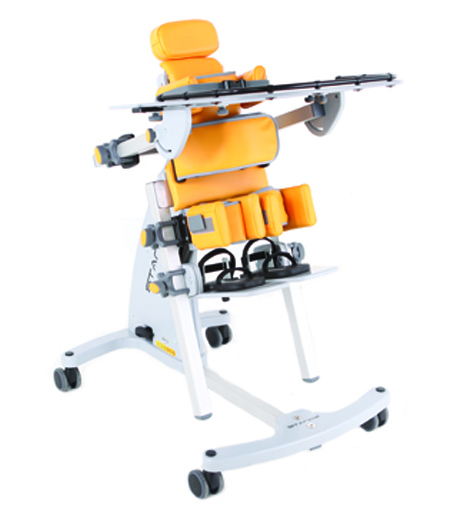 To provide extra support for the shoulders. 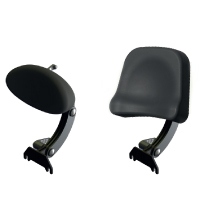 Simple headrest for children who require minimal head support. 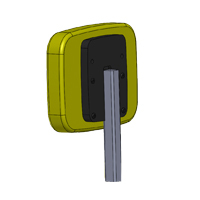 Comes mounted on a flexible fixing bracket. 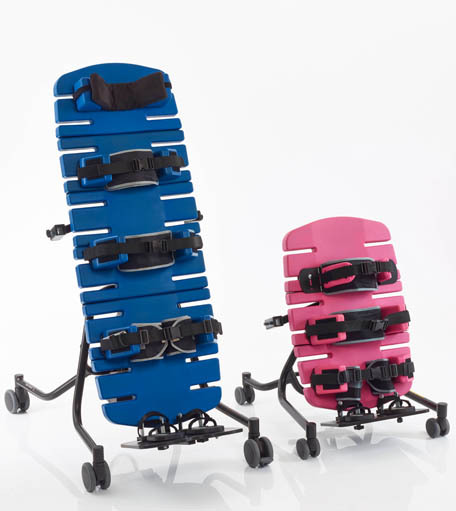 Used in conjunction with the pelvic support board, the back pad offers support for the child’s upper back. 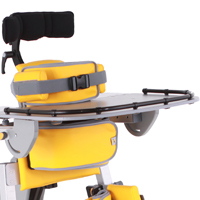 A head support can also be mounted to the back pad to help keep a neutral head position for those children who hyper extend their neck when standing in prone. 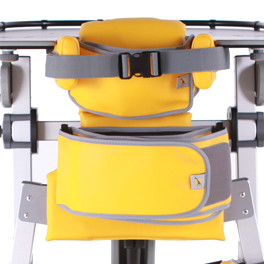 A wide support belt designed to be used to position the pelvis, trunk or both together. 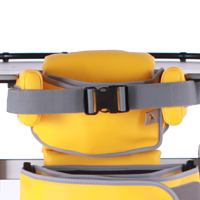 Threaded through the support fixings the strap can be fastened securely around the child and then be pulled to facilitate extension or rotation. 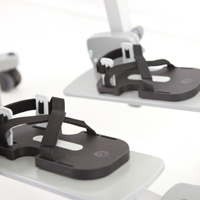 Available for Standz in either size 1 or 2, these sandals ensure solid foot placement to give the foundation for effective leg positioning and safe standing. 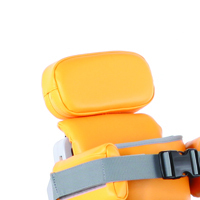 Intended for use in conjunction with the standard knee supports, the standard knee strap simply holds the knee in the desired position and prevents knee flexion from occurring. 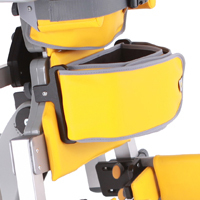 Individual knee supports offering the ability to accommodate knee flexion when used in supine (requires knee straps when used in supine). 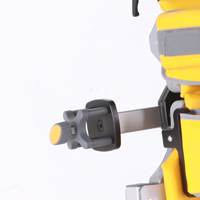 Width adjustable to correctly gutter the knee in position. 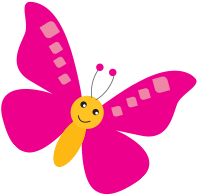 Strongly recommended for use in supine and just as effective when used in prone, these wings attach to the rear of the tray to offer a support surface for the child’s elbows and prevents arms from slipping off the tray. A clever addition that offers a solution of where to store the tray when it is not being used. 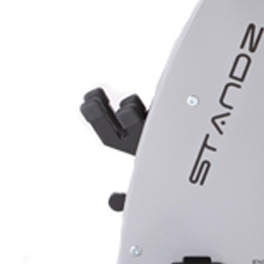 Required to mount the multi-position tray – simply slots onto the Standz base and is adjusted using simple, comfortable wing knobs. 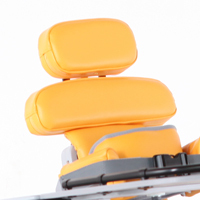 Allows for the tray to be quickly changed from supine to prone or vice-versa, with no need to remove the mounting bracket.